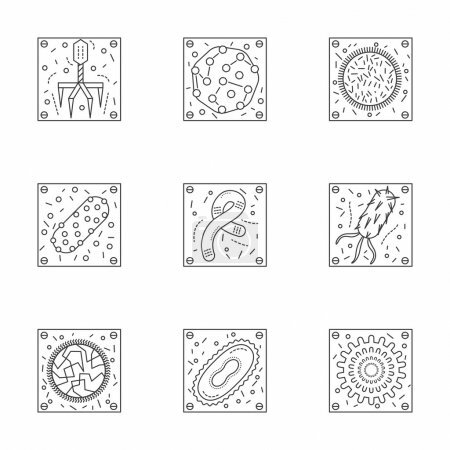 Magnified bacteria and viruses. Bacteriology and virology science. Pathogenic organisms. Set of stylish flat line vector icons. Elements of web design for business, website or mobile app.